The General Grant Tree (Home Tree) is a Giant Sequoia located in the Grant Grove of Kings Canyon National Park. It is the 2nd biggest living thing in the world ( some say that the Aspen colonies or some huge mushroom in Oregon is biggest, but this singular tree that one can easily observe as a single organism gets my vote). 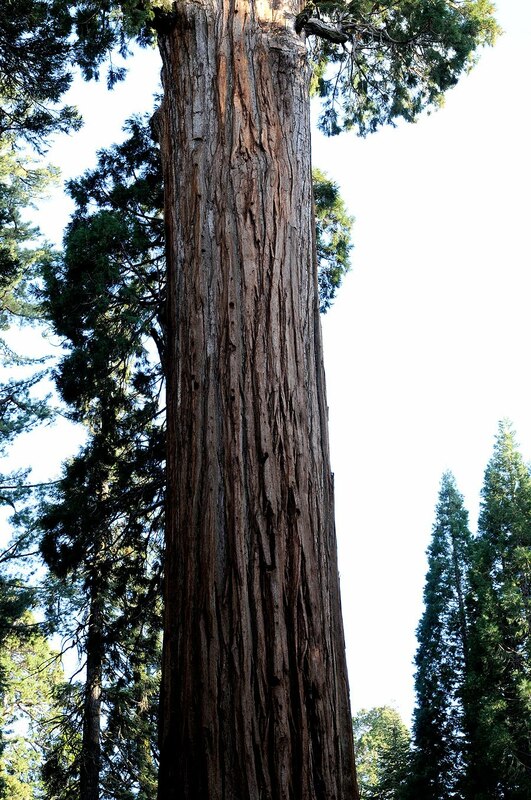 It is 2nd only to its close neighbor the General Sherman Tree in Sequoia Nat'l Park. 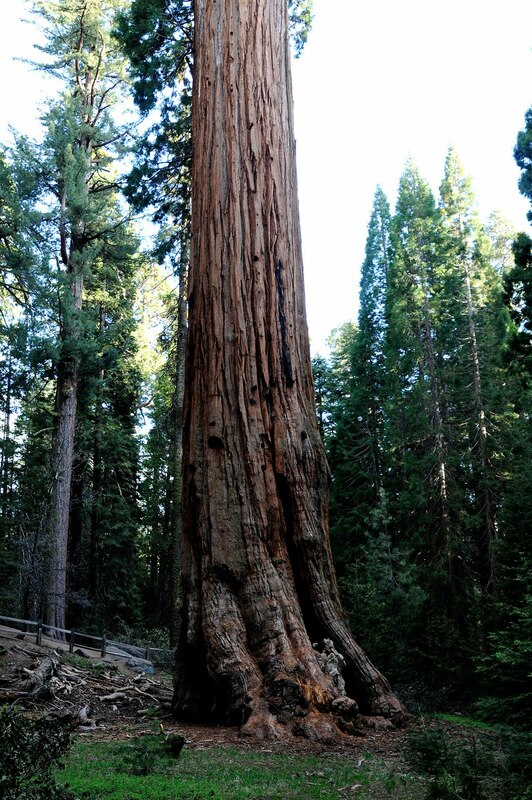 The Grant tree has a circumference of 107.6 feet, is 267.4 ft tall, and is around 2000 years old. What do you say to a group of people when you get to such a tree? Had this little square of Kings Canyon Nat'l Park not been designated a NP in 1890, then named Gen. Grant Nat'l Park, this grove most likely would have been gone too. 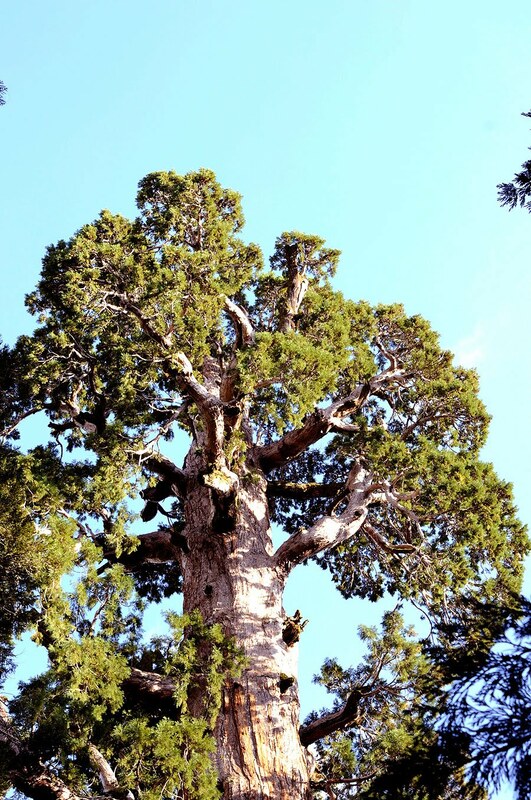 How did the giant trees get their names? Go here to read a short article found on the Kaweah Commonwealth's site that explains it nicely. One of the first names given was Wellingtonia gigantea, named after the Duke of Wellington, who supposedly didn't care much for trees. Fortunately, some rationally minded Americans stepped in and made sure that name didn't stick. Although some people in the UK might still refer to them as Wellingtonias many now know them as grand trees named after the grand Chief Sequoyah who gave us the Cherokee alphabet.